Lincoln Park! Where to begin? It’s one of Chicago’s most treasured neighborhoods; is home to some of the most coveted real estate in the city; and filled with the best the city has to offer under the live, eat, shop, work and play umbrella! I also might be a little biased to this area — I’ve called Lincoln Park my home for 13 years! I’ve grown to know (and love) every corner of it. If you’re actively searching for a buyer’s agent in Lincoln Park, I’m your person! I live and play here. I have a house account at my local coffee shop. I’m on the neighborhood zoning committee. My clients will tell you I know every nuance of every block in the neighborhood and can fine tune property value across all price spectrums. I build relationships with my clients based on trust, integrity and confidence. (Click here to read my client testimonials!). I’ve been in the real estate business for over 32 years and am a Top 50 Agent in Chicago. My true passion is playing matchmaker for clients and homes. In fact, several clients call me “The House Whisperer”. I would love the opportunity to work with you. 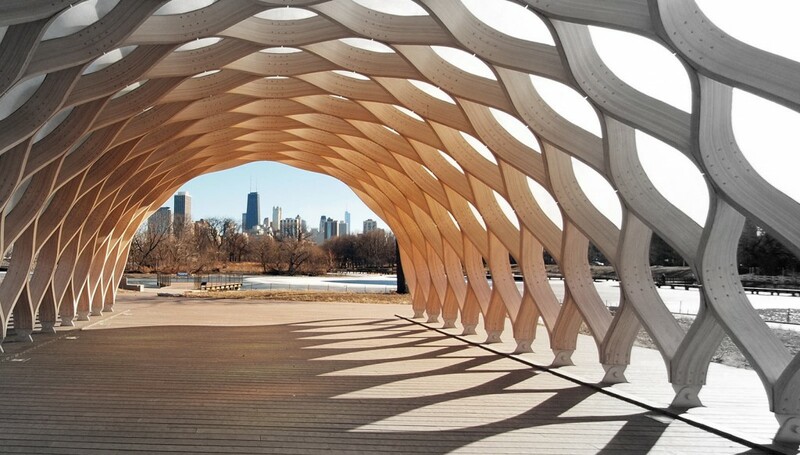 Lincoln Park is considered one of Chicago’s most sought after neighborhoods; beautiful, tree-lined streets, shaded sidewalks and architecture oozing historic charm. Located just 2 miles north of downtown, Lincoln Park offers an appealing blend of vibrant retail hubs, and urban college campus, and the namesake park and easy access to public beaches. Lincoln Park is home to Steppenwolf Theater, two major museums, DePaul University and one of the nation’s oldest zoos. The community’s amenities, location and housing options attract everyone from young, first-time homebuyers to local celebrities and CEOs. With its mix of city parks, restaurants, bars, theaters, top schools, and easy access to public transportation, Lincoln Park is virtually unrivaled among urban neighborhoods in the U.S. Throughout Lincoln Park there are some beautiful single family homes; new construction as well as renovated brown- and greystones. Around DePaul University, buyers can find condominiums in newly constructed 3 story buildings or in converted factories and warehouses. On its eastern edge, Lincoln Park real estate features beautiful high-rise buildings with breathtaking views of the lake, park and city. In general, the average sales price for a one- to three-bedroom condo in Lincoln Park is $435,000. However, potential homebuyers will find the range for attached properties spans from the low $200,000s for a studio to $3 million for a four- or five-bedroom townhouse with two-car garage. The average sales price for a single-family detached home in the Lincoln Park neighborhood is about $2 million, with the lower end dipping into the $500,000s for a tiny ‘worker’s cottage’ or coach house, and the upper end easily reaching into the multi-millions — we’re talking anywhere from $5 to 16 million dollars — for a gorgeous manse. Check out all my great Lincoln Park listings here. Buying your first home? Click here for great tips and to find out Debra’s answers to the top four most common questions she receives from first time homebuyers. I’m often asked, “Who is your go-to handyman?" "Help, I need a plumber at 1am!" Where can I find a great home cook for my party?” "Where do I buy a fab bottle of bubbly for my special someone?" After 30 years in the business, I’ve gathered quite a list! 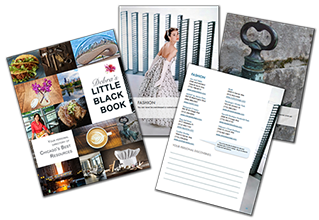 That’s why I created my Little Black Book–a comprehensive, 80 page guide of my most trusted vendors, service providers, and partners in Chicago. You can get access to a downloadable flip-book - just pop in your information below, and we will redirect you to that secret, special page. Q: There are so many neighborhoods to choose from, how do I know which neighborhood is best for me? A: I suggest to clients that they make a list of what they want their day to day life to look like. That list might include things like: easy access to public transportation; ½ mile from the the lake; tree-lined streets with mostly single family homes; close to bars and restaurants; top level public elementary school; trendy, up and coming… start big, winnow down and prioritize. I also suggest that clients look at a few places in several neighborhoods to get an understanding of what each neighborhood offers. It’s all about options, choices and priorities. If you’d like to know more about Lincoln Park or scope out other neighborhoods in Chicago with a top buyer’s agent, let’s chat! You can also scroll down to see current Lincoln Park real estate listings. I look forward to hearing from you! Let’s find your dream home, shall we? Q: Should I work with a real estate agent? A: Yes, there are several benefits to working with a real estate agent, especially an experienced top drawer agent. Not only will she be able to give you an accurate value assessment for the property you fall in love with, you’ll likely get a better deal if she is a bear in negotiations. And your agent will advocate for your best interests throughout the transaction. You may also get access to properties not yet actively listed – which is especially important in a hot real estate market such as Chicago! Additionally, when working with an agent, you don’t just get access to her expertise – you get access to her entire network of advisors, lenders, contractors, and more. Looking to sell your home in Lincoln Park? Call me to talk about how the #1 brokerage firm in Chicago, and one of its top listing agents (me! ), can help you stage, price, market and sell your home for maximum value. It's never too soon to begin; preparation to list time can range from 14 to 120+ days, depending on how many closets there are to purge.